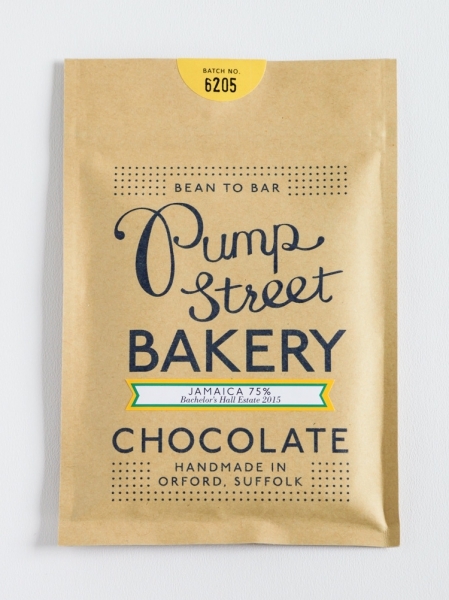 75% chocolate from Jamaica’s cocoa from ‘Bachelor’s Hall Estate’ – the latest addition to the Pump Street Bakery range. 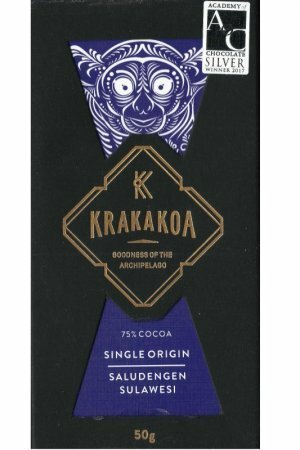 The cocoa for this bar comes from Jamaica from the ‘Bacelor’s Hall Estate’. 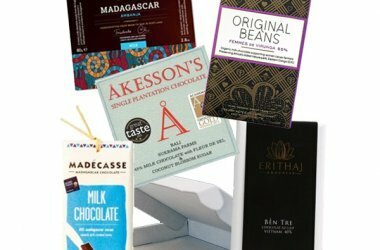 A nice piece of history about this cocoa plantation can be found on the website of Pump Street. 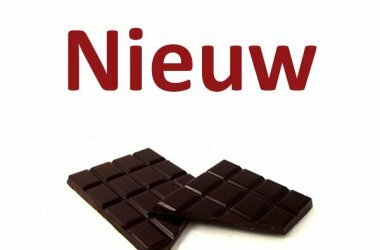 The only Jamaican estate that grows, ferments and dries high-quality cocoa itself. 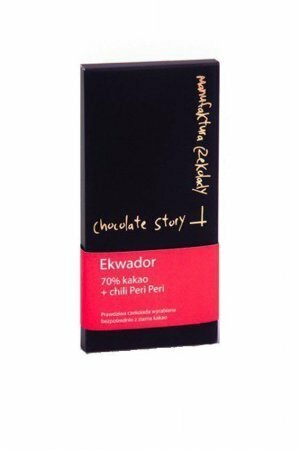 The description of the packaging: starts richly, with a pleasant melt in which the flavor of juicy berries comes to the fore. 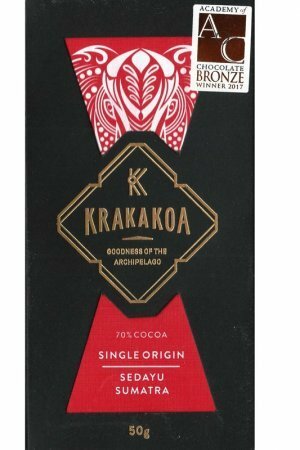 A nice extra for a Jamaica bar: the aftertaste is strongly reminiscent of honey-like rum. Our notes at first tasting: A lot to sample, light banana flavor – at the end a striking taste development – in the aftertaste anise / licorice comes forward. 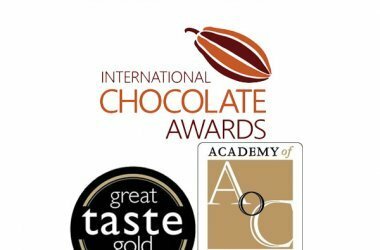 Awards: Silver at International Chocolate Awards EU. 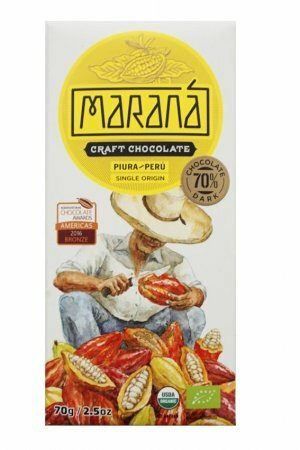 Cocoa beans, cane sugar and organic cocoa butter.